When you purchase Electro Freeze soft serve freezers or self serve frozen yogurt equipment from Acana Northeast you get more than just a machine. With a full, state of the art test kitchen facility, we’ll give you all the hands-on training you need to maximize your ice cream parlor or froyo shop profits. Or, we will train you and your staff on site, so that you can hit the ground running. Through our soft serve training seminars, or our one-on-one frozen yogurt sessions, we will train you on everything you need to know, from basic maintenance, how to make consistent, profitable, high quality, soft serve or frozen yogurt products to unparallelled customer service. We cover all the bases. We’ll give you the foundation and training you need to make your store the ice cream or frozen yogurt shop of choice in your community. And when you need supplies, parts, maintenance or service, we’ll be here. Our family has been in the soft serve ice cream parlor supply and design business for over 60 years. We have built on that experience with the self serve frozen yogurt shop concept. During that time we have learned that the fastest road to success -yours and ours- is in educating our customers on our equipment and on the industry in general. We are the experts on self serve frozen yogurt and soft serve ice cream business and equipment, but you are the master of your own destiny. Educating and training our customers and talking with them and not at them, is the best way to ensure success. 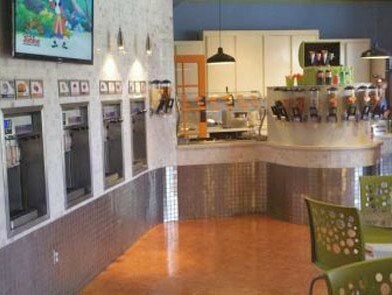 Through our seminars, workshops, and one-on-one training; and through hands on training in the maintenance and operation of the soft serve or frozen yogurt equipment, we have helped thousands of customers develop their ideas and dreams into highly profitable soft serve ice cream parlors or self serve frozen yogurt shops. Whether it be through our Ice Cream College, our seminars, our participation in frozen treat schools throughout New England, or just a one on one meeting at your location, we are here to help you to grow and prosper. 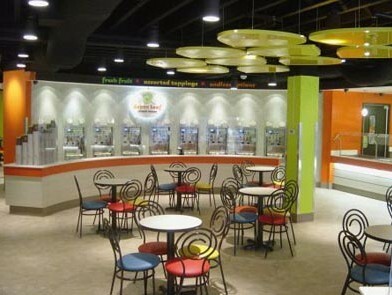 A self serve frozen yogurt shop or soft serve ice cream shop is a significant investment and a substantial undertaking. Let Acana Northeast help you navigate the channels of soft serve or frozen yogurt equipment, supplies and suppliers, and financing. One of your greatest assets is the 60 plus years of experience of Acana Northeast in the soft serve ice cream and self serve frozen yogurt business. Putting that experience at your disposal in providing expert consultation in the frozen yogurt or soft serve ice cream business places you well ahead of the curve. What’s my first step? What do I need? What should I watch out for? How do I get from dream to reality? From inspiration to execution? These are the questions you need answered; and Acana Northeast has the answers you need. From the first day you contact us, you’ll know that we are just a phone call away and you can rest assured that we will stay beside you every step of the way. Everything you need to know about the soft serve ice cream business, frozen yogurt shops, soft serve equipment, design, layout, supplies and suppliers, parts, repairs, maintenance and service, is here for you to call upon. Whether you are opening a new soft serve or frozen yogurt business; adding to an existing one; or just considering a fresh idea, we are here to guide you every step of the way. Before another sun sets on your dream, contact us and let’s get building.